Installing the second fix electrics is more or less the 'tidying up' point of the loft conversion. At this point all the structural work will have been done, the first fix electrics installed and the dry lining completed. What Is The Second Fix? 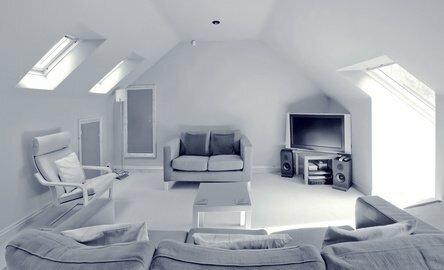 This stage in loft conversions usually consists of wiring up the sockets and fitting the covers, installing the lighting and possibly finishing the fixing of the smoke alarms. 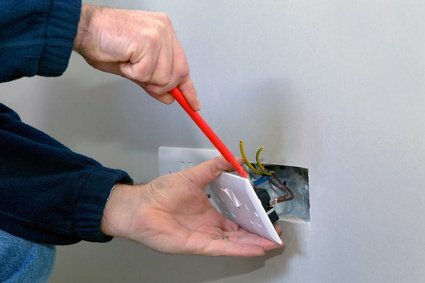 The first job is usually to connect up all the socket covers and switches to that all electrical wiring is hidden and tidied away. Something to mention here is to make sure that you are happy with the fittings you have chosen. Deciding that you want gold coloured light switches after the electrician has fitted the plain white ones that you had previously insisted upon won't endear you to him. It will also add to the cost so make sure everything is decided well in advance. If anything will bring home to you the fact that the project is almost finished it is the first time you flick the switch and all the lighting comes on. This really transforms the room and you will see it in its (almost) finished state for the first time. Many people use the opportunity of a new loft room to install recessed lighting and other up lighters or down lighters. Good lighting can really make any room look great. Don't forget that the building regulations insist that all bathroom lights must be sealed for safety and that at least one light for every 25 square meters of room space must be an energy efficient type. One of the most important aspects of the building regulations is that there must be a mains wired fire alarm fitted to each floor including, of course, the new loft room. The alarms must be linked to each other and have a fail safe battery back up. Once all the fittings have been put in place and lighting wired the electrical work is finished. At this point you the electrician must present you with a BS 7671 Electrical Safety Certificate. Make sure you are given this certificate and file it away safely for future reference.